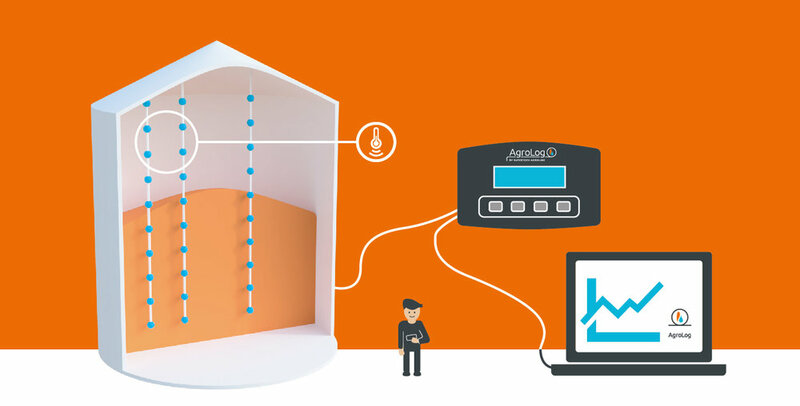 After installing the temperature sensor lines and related hardware in your silo, you simply connect the compact unit to the Agrolog Temperature Monitoring System. All sensors will be scanned, and temperatures will be displayed. This solution is for those of you who need a simple and cheap solution for monitoring the temperatures in your silo and bulk storage. 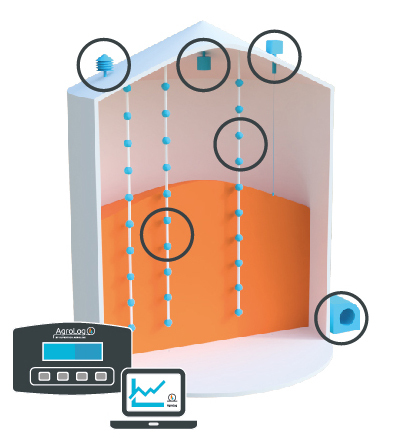 With this system you can read the temperatures of every single sensor line in your silo or bulk storage at any time. This system is very flexible and can be extended at any given time. If you have not used a professional temperature monitoring system before, our TMS2000 is a very reliable and easy-to-use starter system. All you need is an electrician and our guides and manuals – and you are ready to go. If you need support during installation or after, you can always contact your local dealer or call/e-mail our technical centre in Denmark. Our production facilities are ISO9001 and ATEX certified, and our integrated in-house Quality Management System ensures no component leaves our Denmark-based facilities without a thorough 24-h test, ensuring the highest quality.